We focus on helping people to evolve, and discover their true nature. The true nature aims at a life beyond dependence, addiction and illnesses. Scientific research (from neuroscience, physiology, psychology, biochemical etc.) suggests when mind moves and lives within, it changes the mind to fire the brain to rewire it. 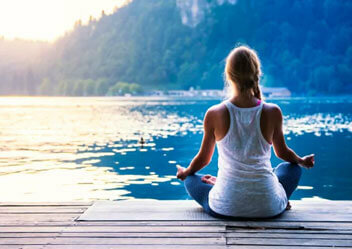 We provide well-being, drug free, lifestyle changing tools, simple, easy, conscious evolving practices and transformative techniques to help you awaken to peace, happiness, harmony, wisdom and truth. Eastern Wisdom is a 6000 year old tradition supported by 3000 teachers and texts. The goal of Eastern Wisdom is to discover our true nature, to end stress, suffering and awaken to inner peace and happiness. 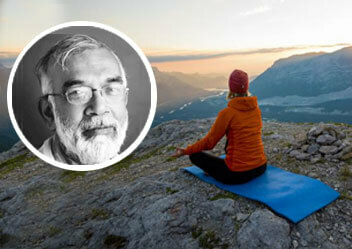 Known in India as a Yoga Teacher, spiritual mentor, guide and practicing yogi, GIRISH JHA has been teaching, mentoring, and promoting wellness for the last 38+ years through mind-body non-pharmaceutical, well-being and illness management programs.